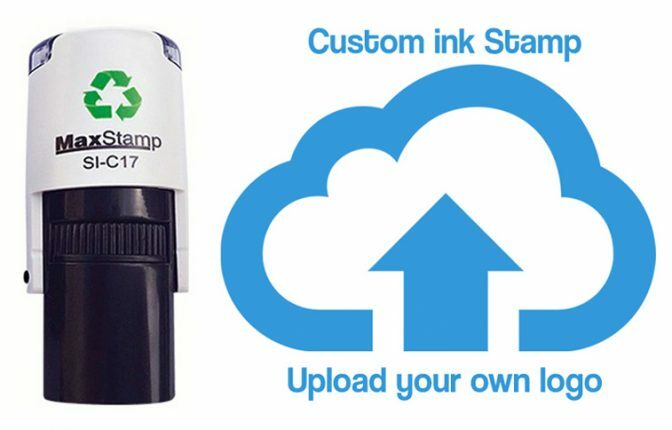 Custom ink stamp, either upload your logo or design one online using our online stamp design tool. Our self-inking stamps are available in various colours. 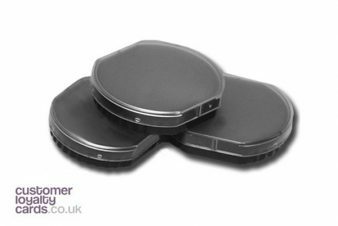 Stamp area is approx 14mm diameter. Design your own ink stamp online using our design tool. 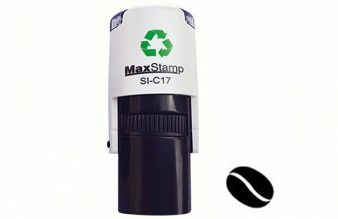 You can add text and/or your logo to create a bespoke ink stamp. 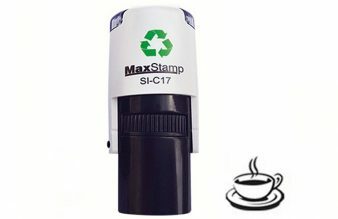 Create your own bespoke self-inking stamps.